Healthcare Careers Ireland is a live recruitment fair connecting skilled healthcare professionals with companies and recruitment firms in the healthcare sector. Our live, online events bring attendees together with employers, HR and personnel professionals from top organisations across Ireland and around the world, allowing healthcare professionals to explore an array of career opportunities. Healthcare Careers Ireland uses the latest in interactive chat technology to run specialised online recruitment fairs. We organise live events for a variety of different industries, such as banking and financial services, the pharmaceutical and health sectors, engineering, construction and many more. Virtual Expos works on a mobile-friendly platform and it requires no downloads or heavy software installations. All candidates need is an internet connection and a browser. Healthcare Careers Ireland has grown out of the successful Jobs Expo, Ireland’s leading employment and recruitment fair, and is run by Careers Unlimited. 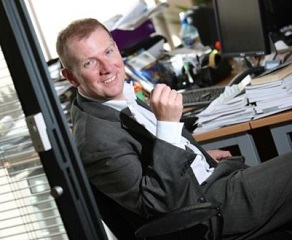 Careers Unlimited is an Irish company which specialises in recruitment and career enhancement. With our many years of experience connecting companies and candidates, we wanted to create a smart, efficient and innovative careers event. Virtual Expos is cost-effective and efficient, offering employers and employees an opportunity to engage with each other in an interactive manner without having to leave their desks..
Kevin specialises in brand development, marketing, and organisational development. He established Careers Unlimited (formerly Learning Ireland) in 2000. He is a graduate in Communications from Dublin City University. His mission is to bring the best information about courses and jobs to the general public. Bronagh Cotter has vast experience in recruitment, having run BCS Recruitment for several years. She brings vision and practical expertise to her role, ensuring the smooth and successful operation of our events. Bronagh is a graduate of the DCU Ryan Academy and has 25 years of commercial experience. 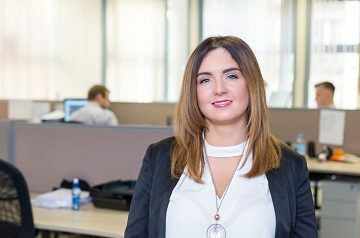 Lyndsay liases with companies from Ireland abroad and matches their recruitment needs with the tens of thousands of skilled professionals that attend our jobs fairs every year. She has 15 years’ experience of sales, customer relations and account management.